Early December was difficult, much like the end of November. My withdrawal symptoms had not changed much and still impacted my day about 3pm and lasted about 6 hours before subsiding. I noticed new symptoms this month. My bones and muscles were extremely painful, especially the lower back and knees. The numbness I previous had felt was subsiding in some areas but it was the same in others. Perhaps the lack of numbness was making me aware of pain in joints that the numbness was masking. Perhaps the numbness was getting better and healing making me more aware of the other symptoms of withdrawal – the pain in joints. I noticed that I needed to keep hydrated. Lacking in this area caused stress and intensity of withdrawal symptoms. I was trying to push down at minimum 64 ounces of water a day. I avoided caffeinated and decaffeinated drinks and sodas. I also noticed that when I urinated, it felt numb there as well. My awareness of more subtle symptoms that did not feel like I was dying began to appear. I think this is a good sign. Sense of anxiety. Tunnel vision. Increase in self-absorption. Higher level of anxiety. Increased self-absorption. Began autogenic exercise. Autogenic exercise not effective. Anxiety almost critical. Self-absorption high. Took 50 mgs of Hydroxyzine. Realized I missed 3 pm dose of Gabapentin. Took 600 mgs Gabapentin (missed dose). Anxiety level critical. Panic episode commenced. Fleeting/racing thoughts. Fear of events. Minor shaking in jaw and right hand. Need to evacuate urine and bowels. Loose bowels. Call neighbor and friend. Friend not reachable. Neighbor reachable – to come over in 15 minutes. Call wife. Minor stutter. Moderate fear and psych imbalance. Wife prays and consoles via telephone. Dry heaves occur. Neighbor arrives. Wife speaks to neighbor on phone. Wife calls friend to request support. Feeling of impending doom, depression, panic and anxiety in full bloom. Unable to relax or breathe slow and deep consistently. Moderate shakes consistent in right hand and arm, left hand and jaw. Friend arrives and joins neighbor to console and reassure. Friend recommends another Hydroxyzine dose and delivers it. 50 mgs dose taken. Minor hot and cold spells appearing. Driving thirst. Cold compress applied. Loose stools more frequent. Attempts to stay in rested position unsuccessful. Extreme anxiety. Nausea setting in. Friend leaves. Neighbor stays. Attempts to fall asleep unsuccessful. Cold and hot flashes pronounced. Nausea and loose stools continue. More pronounced stuttering and shaking. Feeling of desperation and impending doom are pronounced. Nausea and hot and cold spells becoming consistent. Extreme fear and despair apparent. Request dose of Pepto Bismol and ingest. Lying on back, falling asleep. Sleep 30 minutes. Sleep ended. Woke and inventoried symptoms. Fear and anxiety diminished. Nausea and loose stools diminished. Shaking and stuttering diminished. Feel exhausted and head ache but overall improvement in symptoms. My wife was still upset and the reason had come out. I was guilty of “idolatry.” I had made Alcoholics Anonymous my “God.” She had read some literature that explained that A.A. was a “Group of Drunks (GOD)”. I was spending too little time in the word and too much time in the Big Book. She complained that I was being of service to A.A. but not to my family and friends. Somehow A.A. was my newest addiction. 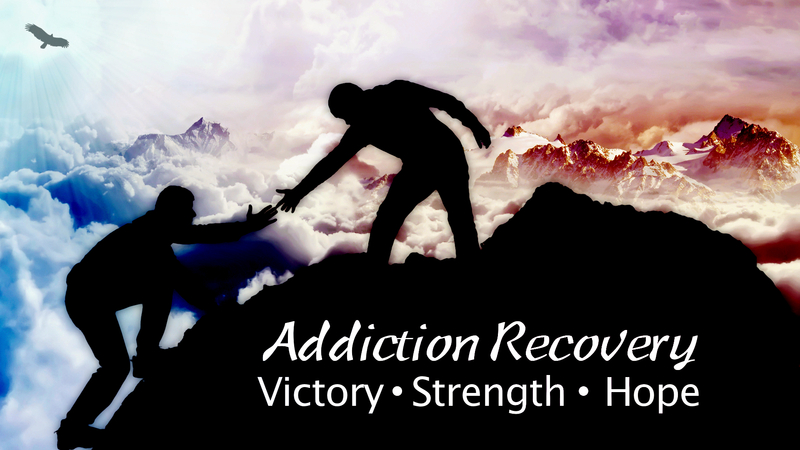 I attempted to describe as best I could what my program was and how A.A. was helping me in my sobriety. It did not help. The chapter “To Wives” in the Big Book was discarded as inapplicable to my situation and hers. She was frustrated at my being on the fence spiritually and asked that I either go full throttle in my spiritual walk or fall back to previous positions. She was concerned about my salvation, my soul. Each day, I was taking 2,000 I.U. of Vitamin D3; 1,000 milligrams of Magnesium; 500 milligrams of Calcium; Amino Balance, an amino acid supplement that contains 19 critical amino acids; and 2,000-3,000 milligrams of Vitamin C. This was in addition to my juicing activities and related supplements. I noticed that Complex Vitamin B supplements that included high doses of vitamin B12 were contributing to the intensity of my withdrawal symptoms, especially anxiety. I sought out suggestions about supplements and got three different points of view. My family practitioner recommended I take niacin (vitamin B3). I took a comprehensive blood panel test and noticed that my cholesterol had jumped 50 points (LDL) in a period of a couple of months in spite of the fact that I was eating healthy and juicing. I was eating oats every morning followed by an extensive juice regiment. I ate tuna, eggs and nuts for protein. I was taking many supplements with no real direction or goal in mind. Was it the 1,800 mgs of gabapentin I took each day? Perhaps it was the Niacinamide or the krill oil. Or perhaps it was the one or two boiled eggs I ate each day for protein. I discovered that there were three types of niacin; nicotinamide, inositol hexaniacinate and nicotinic acid. It was nicotinic acid that I needed both for my withdrawal and for my blood pressure. Nicotinic acid is known to raise HDL cholesterol, the good kind. It also lowers LDL, the bad kind. I went to my nutritionist and explained to him what I was going through and he recommended I take protein, ascorbic acid and high omega-3 supplements. I purchased them and began to take as directed. The following day, I went to my neurofeedback doctor. This is the guy who helps me to balance the hyperactivity between the left and right hemispheres of my brain. I went to his office the day after my serious withdrawal bout and still had tremors and severe anxiety. He contacted a prominent neurologist who recommended I take 500 mgs of magnesium twice a day, L-Theanine and Co-Q10. In human biology, magnesium is the eleventh most abundant element by mass in the human body; its ions are essential to all living cells, where they play a major role in manipulating important biological poly-phosphate compounds like ATP, DNA, and RNA. Hundreds of enzymes thus require magnesium ions to function. Magnesium compounds are used medicinally as common laxatives, antacids (e.g., milk of magnesia), and in a number of situations where stabilization of abnormal nerve excitation and blood vessel spasm is required (e.g., to treat eclampsia). Able to cross the blood–brain barrier, theanine has psychoactive properties. Theanine has been studied for its potential ability to reduce mental and physical stress, improve cognition and boost mood in a synergistic manner with caffeine. While structurally related to the excitatory neurotransmitter glutamate, theanine only has weak affinity for the glutamate receptor on postsynaptic cells. Rather, its primary effect seems to increase the overall level of the brain inhibitory transmitter GABA. Theanine also increases brain dopamine levels and has a low affinity for AMPA, kainate and NMDA receptors. Its effect on serotonin is still a matter of debate in the scientific community, with studies showing increases and decreases in brain serotonin levels using similar experimental protocols. Theanine also promotes alpha wave production in the brain. Co-Q10 is an oil-soluble, vitamin-like substance is present in most eukaryotic cells, primarily in the mitochondria. It is a component of the electron transport chain and participates in aerobic cellular respiration, generating energy in the form of ATP. Ninety-five percent of the human body’s energy is generated this way. Therefore, those organs with the highest energy requirements—such as the heart, liver and kidney—have the highest CoQ10 concentrations. There are three redox states of coenzyme Q10: fully oxidized (ubiquinone), semiquinone (ubisemiquinone), and fully reduced (ubiquinol). The capacity of this molecule to exist in a completely oxidized form and a completely reduced form enables it to perform its functions in the electron transport chain and as an antioxidant respectively. The antioxidant role of the molecule as a free radical scavenger was widely studied by Lars Ernster. Numerous scientists around the globe started studies on this molecule since then in relation to various diseases including cardiovascular diseases and cancer. For a short while, I attempted to use 500 milligrams of GABA but as I discovered, it brought about an increase in the palpitations I was experiencing, especially at bed time. I decided to stop. I read that the GABA supplement invigorates the adrenal glands and does not break the blood-brain barrier so is in effect useless. Christmas was enjoyable as I spent time with my wife’s friends and business associates at a party in an airplane hangar. I was apprehensive about going since it was such a distance from our home and it was at night. I ingested two 50 milligrams capsules of Hydroxyzine prior to the trip and I was able to enjoy for the most part the experience free of the more debilitating symptoms. I spend time with my son and grandchildren on Christmas Eve day. My wife and I drove a couple of hours to the town of Magalia where it had snowed several inches the days previous. It was cold but I enjoyed myself. Again I took a couple of the Hydroxyzine and was able to go and enjoy my family. My grandkids and I threw snowballs at each other prior to going to have dinner. On Christmas, I enjoyed my wife’s family at my father-in-law’s home. I did not take the usual dose of two Hydroxyzine this time. Perhaps I considered that since my father-in-law lived in familiar territory, I would be OK for the most part without it – and I was for the most part. My mother-in-law cooked a turkey dinner and after, the family fellow-shipped and opened presents. I had a great time. I was “Santa” for the kids. As we prepared to depart from my wife’s father’s house, I experience a familiar episode. I felt a rapid heartbeat and a sinking feeling in my chest. I felt faint and found myself immediately to one knee. Fear embraced me and all the way home, I wondered if I would have a full blown episode of withdrawal. I took a hydroxyzine and made due. I made it through the night without a full blown episode. I received my 150 day chip on December 28th. It was an emotional experience. My wife gave me my chip. I could see her holding back tears as she gave it to me. It has been a journey for the both of us. New symptoms appeared early in January that caught me off guard. I felt pains in the front abdomen, an increase in labored breathing and sharp pains on the left side of my chest. I experienced these new symptoms as I was either exercising or lying down on my back. The chest pain came when using the tread mill. I noticed my resting heart rate was a minimum of 85 and that it was very hard to get the heart rate, even after a half hour on the tread mill to go higher than 125. I was told that this may be because the release of stresses by exercise may have relaxed my body through the use of exercise, thereby reducing my heart rate. The pain in my abdomen may be a result of the yoga classes I was taking or it could be gas as I was ingesting a diet of large amount of varies fruits and vegetables. The pain was more pronounced when I lay on my back and tried to get up. It was especially painful on the right side under the right rib cage. The yoga classes were the restorative type including Yin. It could be the poses in yoga classes stretched muscles in such a way that they became sore. There was one day around the 5th January that I can recall that was especially refreshing. I hoped it was a sign of what was to come. I felt no symptoms and a new vigor for about 10 hours. I felt as though some entity had reached into my body and relieved me of the pain of withdrawal and I was in awe. I remember saying every time I became aware of my experience, “thank you Jesus!” I must have said this dozens of time that day. The day ended with about a two hour episode of tremors, chills, emotions and general discomfort. Just about a half an hour prior to having my symptoms on that day, I ate a large cup of yogurt, oats and fruit. I wondered if the ingestion of high amounts of sugar, natural or not, can precipitate a withdrawal episode. I stopped calling my sponsor towards the end of December. I began to feel depressed that every time I would call him, I could only report that I was struggling. He seemed to not know how to respond so I felt uncomfortable calling him. My psychologist/biofeedback doctor Erik agreed to lessen his fee and see me weekly so that I could benefit from more sessions without it breaking the bank. I was eager to agree. He recommended I consider going to a particular Narcotics Anonymous meeting on Wednesday evenings. I went. Erik also recommended I work with a prominent neurologist as it pertains to PAWS. I sent a request for a referral and was told by my primary care physician that was a reasonable request and a referral would be made. Also, when I went to a popular Alcoholics Anonymous meeting, I was elected Secretary for a 6 month term starting from February and ending at the end of June. This particular group has been in existence since the late 40’s and is a pillar in the community of A.A.’s. I am optimistic this new activity would have positive influences in my life.